Nothing beats traditional Italian pasta with a heaping serving of marinara sauce and parmesan cheese. Yet if you are trying to lose weight, pasta is not your best friend. So, here’s a recipe that will trick your brain into thinking its eating this typically carb-loaded dish. **I was skeptical of this recipe at first but smothered in the sauce of your choice, it was tastes almost identical to the usual spaghetti dish. 2. Cut the spaghetti squash into halves length ways. Take out the seeds. 3. Place the spaghetti squash halves face down on the baking sheet and bake for 30-35 minutes (until a sharp knife can be inserted with only a little resistance). 4. 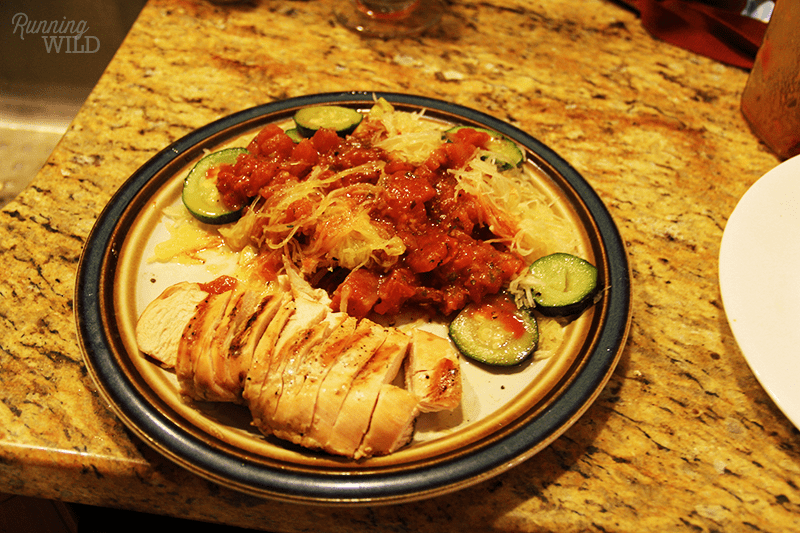 When cool enough to handle, use a fork to scrape out the strands of spaghetti squash onto a plate. It should look like the picture below. 5. Finally smoother the spaghetti squash in the sauce of your choice. (I heated up some pesto & onion in a pan & poured it on top to my dish while my boyfriend smothered his in a tomato and basil sauce). 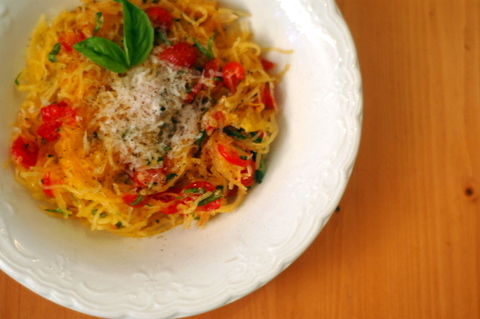 Fun fact: Spaghetti squash is only 42 calories per cup. 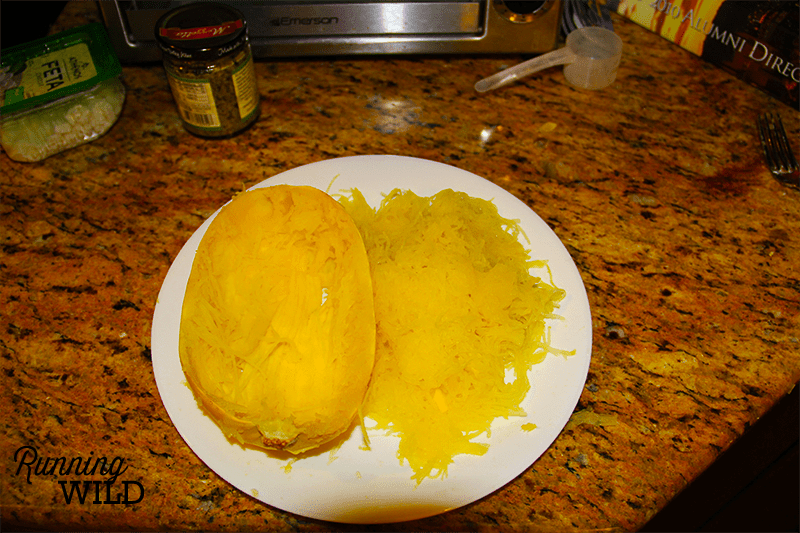 There is probably around 2-3 cups in a medium half, so you’re eating around 85-130 calories in half a plate full of spaghetti squash. Not to mention it’s high in fiber! On the other hand, spaghetti has 211 calories per cup. Think about how many calories you’re saving! I like this dish, it tastes bomb.com!